Shani directly relates with Karma and its results. Shani determined what type of work person will do. If Shani is favorable then one can get success. A person won’t face any type of problem. However, one faces many problems in employment if Shani is negative. 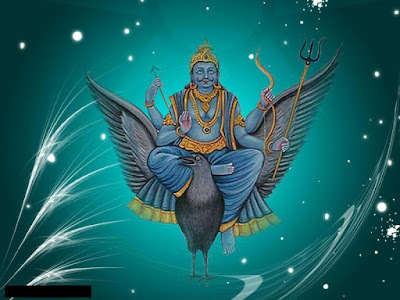 One can get rid of every job related problem by doing simple remedy for Shani. Getting Job: Soak black grams on Friday night. Fry them in mustard oil on Saturday. Do not mix spices or salt in it. Feed it to any beast. Do this remedy for three Saturdays. Merit: Take mustard oil in bowl on Saturday evening. Keep middle finger of left hand in it and chant “Om Sham Shaneswaraye Namah”. Light lamp with that oil under peeple tree. Do this remedy for three Saturdays in evening. Promotion: Feed flour to ants on Saturday. Feed flour bolls to fish on Saturday. Do not eat sweet products on Saturday. Do this remedy for long time. Relocation: Light mustard oil lamp near the main entrance of the home on Saturday evening. Chant Shani Chalisa after lighting lamp. Do this remedy for three Saturdays. Reinstatement: Light four face mustard oil lamp under peeple tree on Saturday evening. Chant Shani hymn for 108 times. Take 19 circles of peeple tree. Do this remedy for 11 Saturdays. Remedy: Pour water to peeple tree on Saturday morning. You can also plant peeple tree. This will help you to get rid of children related problem.